Featuring a character that many probably didn't knew was in the film or that was as important to appear in a promotional poster for Captain America: The Winter Soldier, this poster came online. 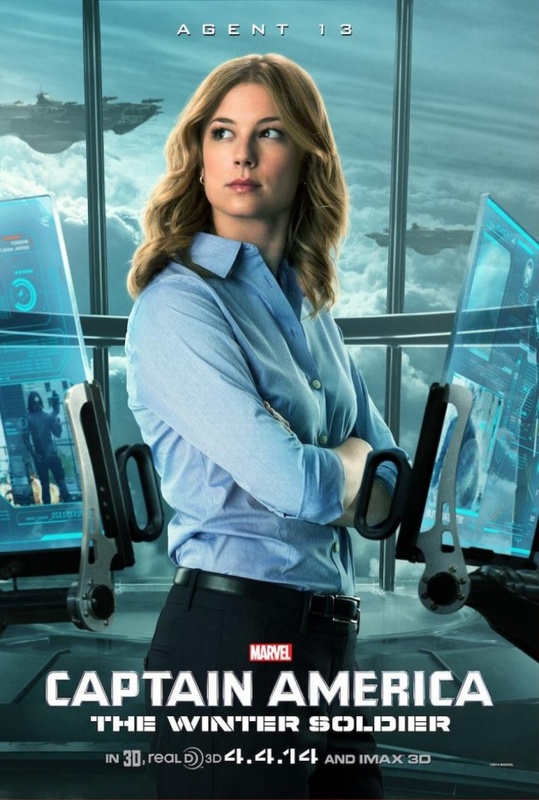 What do you think or expect of Emily VanCamp as the Agent 13? The film takes place after Marvel's The Avengers, Steve Rogers aka Captain America, stills have to adapt to the modern world while he joins with Black Widow and his new partner The Falcon to solve new mysteries and fight new and old enemies. Starring Chris Evans, Scarlett Johansson, Samuel L. Jackson, Robert Redford, Sebastian Stan and Anthony Mackie Captain America: The Winter Soldier comes to U.S. cinemas on April the 4th.